In September, a George Daniels Space Traveller smashed the auction block when it sold for a monumental £3.2 million (S$5.7 million) at a Sotheby’s London auction, exceeding its pre-sale estimate by more than twofold. Created in the early 1980s by British horologist George Daniels, notable inventor of the Co-axial escapement, the 18k yellow gold chronograph features a symmetrical dial. On the left, astrological measurements including the graphic moon phase display are indicated by a white star, while solar measurements on the right are located under the sun. The 63mm pocket watch was Daniels’ dress watch of choice at numerous events, and features an independent double-wheel escapement. Powering the Space Traveller is a gilt brass movement with Lepine calibre construction, equipped with a 32-hour duration. In October, a sapphire tonneau-form tourbillon from Richard Mille swept the Sotheby’s Important Watches Autumn Sale in Hong Kong when it sold for a hammer price of HKD14.5 million (S$2.5 million). Christened the RM56-02, the sapphire beauty is an update of the fully sapphire-cased RM 056, a split-seconds chronograph tourbillon from SIHH 2012 and the RM 56-01, which featured a sapphire baseplate, bridges, and third wheel. The most recent update in the sapphire trio draws inspiration from the RM 27-01 Nadal watch, showing off a skeletonized baseplate suspended by a system of four pulleys on the case in addition to its remarkably chiselled sapphire parts. Limited to just ten pieces, the almost completely transparent watch is powered by a propriety cal. RM56-02 tourbillon with a 38-hour power reserve. A Cartier Tank Ordinaire once owned by Jacqueline Kennedy Onassis became the most expensive Cartier Tank ever when it sold at auction for US$379,500 (S$507,000), exceeding its higher estimate by over threefold. Part of the “Rare Watches and American Icons Sale” by Christie’s New York in June, the iconic 18k gold square-shaped watch was a gift from Onassis’ brother-in-law, Prince Stanislaw “Stas” Radziwill. One of only three ever produced in 1962, the watch is inscribed on its caseback with the words, “Stas to Jackie 23 Feb. 63 2:05 AM to 9:35 PM”. A notable favourite of Onassis, the former first lady has been photographed wearing the Cartier watch on numerous occasions. A rare vintage Rolex in 18k yellow gold smashed the auction in May with its monumental CHF5.06 million (S$6.9 million) sale, briefly reclaiming its title as the most expensive Rolex sold at auction. 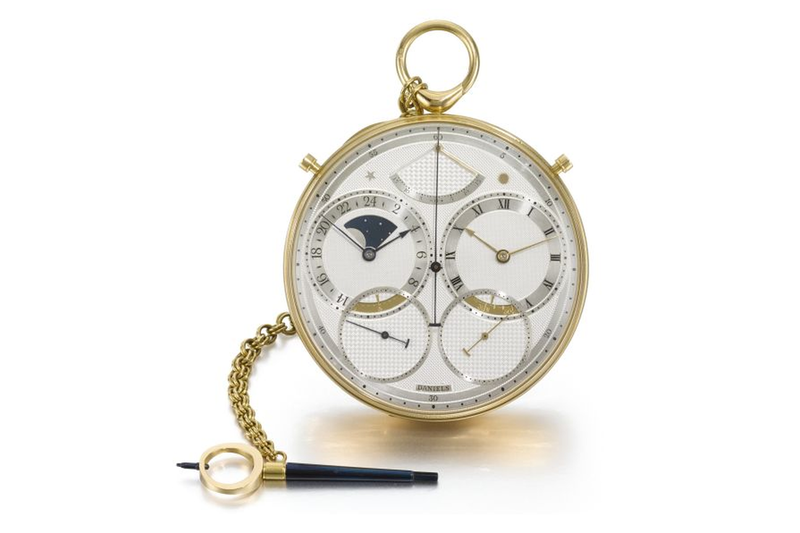 The watch was previously auctioned in 2002 for CHF370,000 (S$505,000). Part of the Phillips Geneva Auction, the record breaking Bao Dai Rolex Ref. 6062 is widely regarded as one of the most important collector’s watches today. Manufactured in the 1950s, the watch was named in reference to Bao Dai, the last emperor of Vietnam, who bought the watch in Geneva in 1954. The vintage piece features the iconic Oyster case and is driven by a manufacture N32’589 movement with a triple date calendar and moon phase. It is one of only three pieces known to have a black dial and diamond indexes. It was only a few months after when yet another Rolex topped that record by almost threefold when it sold at auction for an outrageous US$17.8 million (S$23.8 million). Paul Newman’s stainless steel Rolex Daytona trumped its conservative US$1 million pre-sale estimate and set a new world record for the most expensive wristwatch sold at auction. The Ref. 6239 model, made in 1963, was part of Phillips’ inaugural “Winning Icons” New York auction in October. A gift from Newman’s wife, Joanne Woodward, the 37mm Rolex Daytona is engraved with “Drive Carefully, Me” on the caseback, in reference to the actor’s need for speed and his love for racing. The very first model of Rolex’s iconic Cosmograph “Daytona” series, the historic watch features an engraved tachymeter bezel and a rugged, crocodile ‘Bund-style’ strap. Driving the watch is a manual-winding cal. 722.